Trainer Gerald Ryan had a one-word answer at the ready when asked why Trapeze Artist would not be contesting the Group 2 Apollo Stakes at Royal Randwick on Saturday: "Winx!" Ryan simply can't see the point of sending classy sprinter Trapeze Artist out to attempt what has become racing's version of mission impossible and try to end Winx's famous winning streak. With champion mare Winx chasing her 30th consecutive win in her Apollo Stakes, Ryan has changed his original race plans for Trapeze Artist this campaign. Although Ryan said Trapeze Artist, a three-time Group 1 winner of more than $5.2 million prizemoney, has pulled up well after his comeback fourth to Alizee in the Expressway Stakes, the four-year-old won't race again for a month. "He will have two barrier trials then race next in the Canterbury Stakes on March 9,'' the trainer revealed. Winx is expected to have only a handful of rivals in the Apollo Stakes including Happy Clapper and possibly Hartnell. 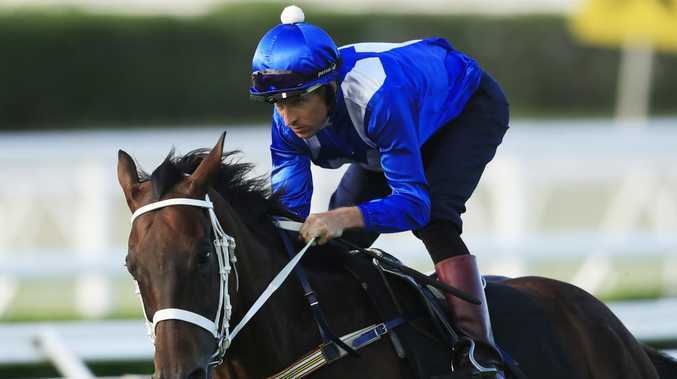 Chris Waller, trainer of Winx, indicated he is likely to have "five or six entries" for the Apollo with Unforgotten, Egg Tart and Endless Drama among them. Winx, jointly awarded the 2018 World's Best Racehorse title with England's Cracksman last month, tuned up for the start of what will be her final race campaign with a pleasing exhibition gallop at Royal Randwick last Saturday morning. Waller was relieved when regular race jockey Hugh Bowman gave Winx's a glowing appraisal after the workout. "It is the business end of Winx's career the next few weeks, her fans expect her to win every time,'' Waller said. "So, to get the right feedback from the jockey, her strappers, farrier, vet, the dentist, her physio, even the truck driver to make sure she is happy on the truck, this is all important information. 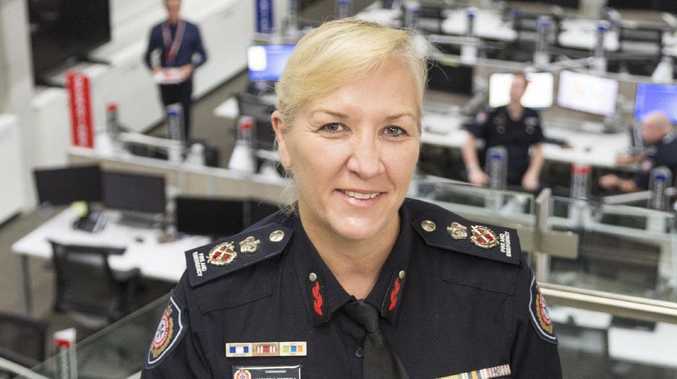 "This week will be pretty straight forward, she won't have to do much hard work during the week, we will keep things simple. Dual Everest winner Redzel and crack colts The Autumn Sun and Zousain are among the potential autumn carnival contenders contesting crucial barrier trials at Rosehill Gardens on Monday morning. 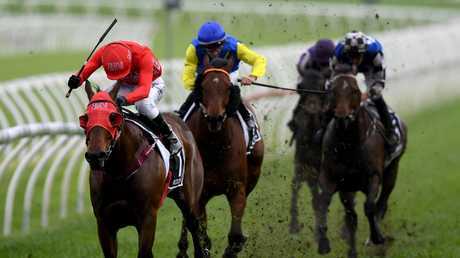 Redzel, The Autumn Sun and Zousain are due to clash in the opening heat over 1000m. But trainers Peter and Paul Snowden have also entered Redzel for a 900m trial later in the morning. Redzel is expected to contest the shorter heat given this is his first barrier trial of the preparation. The $15.3 million earner will have another trial before resuming in the Group 2 Challenge Stakes (1000m) at Randwick on March 10. Tassort, the unbeaten Godolphin colt and early Golden Slipper favourite, will line up in a 900m heat in preparation for his comeback in the Group 2 Silver Slipper at Rosehill on February 23. Darren Weir's national benchmark of 489.5 wins in a season should be expunged from racing's record books. Weir set the training record in 2017-18, breaking the mark he established the previous season of 449 wins. In fact, he has broken the national record for most wins three years in succession - and was on track to become the first trainer to prepare 500 winners in a season before the sensational Federal Police raid of his stables and subsequent stewards inquiry which resulted in his lengthy ban. 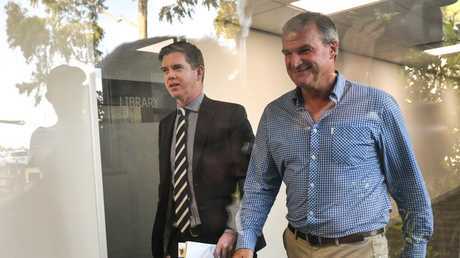 But the Weir saga is far from over with the police investigation continuing, stewards still studying various aspects of the case and talk of legal action from disgruntled owners and punters. The storm clouds of controversy will continue to linger over Weir for months, possibly years which brings into sharp focus his stable results and training records over the last few seasons. It might be difficult to alter any race results but Weir's national training record for most wins in a season should no longer be celebrated or recognised - at least until the police and stewards investigations have been completed. The Inglis Millennium meeting was well-promoted, attracted a healthy attendance of more than 6000 race fans, and showed that there is an appetite for feature Sydney Saturday race meetings at Warwick Farm. This has prompted renewed calls for the Chipping Norton Stakes and Liverpool City Cup raceday to be returned to Warwick Farm next year. One reader contacted me last week suggesting if the Australian Turf Club leaves the Group 1 Chipping Norton Stakes at Royal Randwick, then the race should be renamed the Bondi Mile. Castelvecchio's outstanding Inglis Millennium win over Accession and Dawn Passage was a superior two-year-old race to the Lonhro Plate taken out by Bivouac. But due to the restricted entry of the Inglis Millennium, this win does not help Castelvecchio's chances of qualifying for the Golden Slipper. 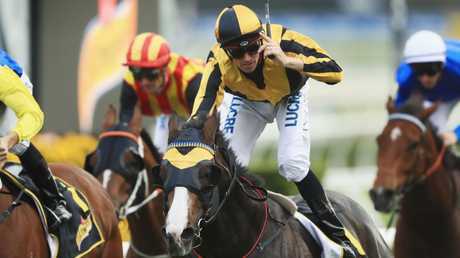 Trainer Richard Litt indicated Castelvecchio may have his next start in the Skyline Stakes where the winner is guaranteed a Slipper start. Westlink became the first to qualify for the $500,000 Country Championships Final with a dominant win in the opening heat at Dubbo on Sunday. Adam Hyeronimus, winner of The Kosciusko on Belfyer last spring, struck again with another brilliant ride on Westlink to win the $150,000 Dubbo Qualifier. Trainer Darren Hyde described Westlink's win as his biggest moment in racing and acknowledged Hyeronimus's effort to secure a start in the rich Country Championships Final, run at Royal Randwick on April 6. "Adam gave him the gun run ride,'' Hyde told Sky Thoroughbred Central's Greg Radley. Hyeronimus said Westlink jumped well and was able to take advantage of the inside barrier, settling in a forward position. The Sydney jockey admitted his only concern was hoping to find sufficient galloping room from the home turn. "I had to bide my time, wait for the moment but then Westlink did the rest,'' Hyeronimus said. Westlink ($2.90 favourite) accelerated impressively to win by a widening margin of more than three lengths. Sons Of Bourke ($8.50) also earned a start in the Country Championships Final with his second placing, a half length in front of Sprezzatura ($41). The second Country Championships Qualifier is run at Port Macquarie next Sunday.